Vera Wang uses this weight invisible zipper in her wedding gowns for extra security. SILKY WHITE is just barely off-white. Winter white? 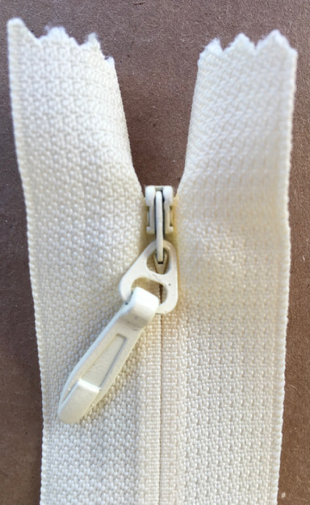 #6 or 6mm Heavy Duty Invisible Zippers are available in many different colors now for bridal, mother of the bride, evening gowns. #6 is also available as zipper by the yard which is easy to cut to length for costuming.